Applications for the 2019-2020 school year will be accepted until May 2nd. Apply today! For more information about the application process and important dates, please join our recruitment listserv. Service with the Carolina College Advising Corps is a unique and rewarding leadership opportunity for recent college graduates of UNC-Chapel Hill who want to share their energy and experience with high school students. Carolina Corps advisers work with students in underserved schools and communities to help them identify potential colleges, complete college applications, identify potential scholarship opportunities, fill out financial aid forms and find the college or university that will best meet their academic and social needs. To become an adviser for the 2019-2020 academic year, applicants must be a graduate of UNC Chapel Hill and complete all course work by May 2019. If you will be a summer graduate please contact our program staff for more information. In addition to being a recent graduate, an adviser must be genuinely committed to serving underrepresented students and be able to work well with diverse populations. The Carolina Corps seeks advisers who are friendly, approachable, self-motivated, creative, enthusiastic, and passionate about higher education. Following graduation, newly-selected advisers meet to begin an intensive five-week summer training at UNC-Chapel Hill. During training, advisers are provided with housing and parking in Chapel Hill. Professionals engage advisers around topics such as the college application process, serving target students, financial aid and SAT/ACT preparation. 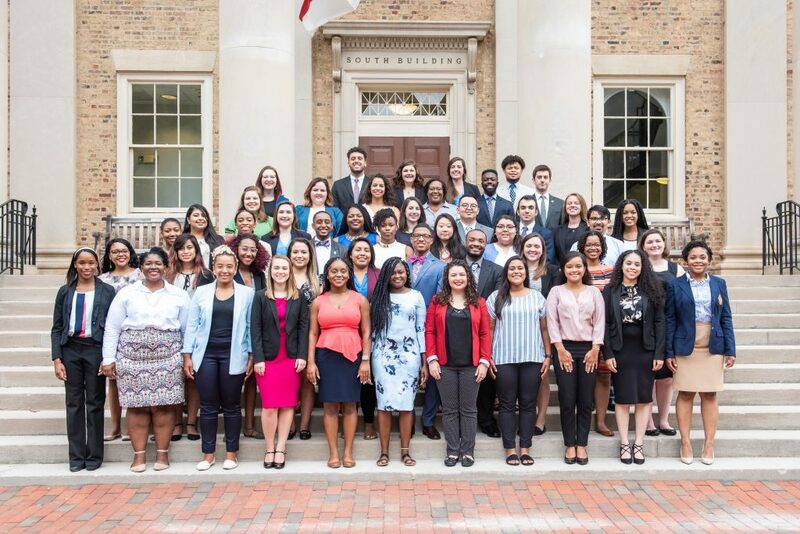 Advisers also participate in the annual National College Advising Corps Summit, as well as a mid-year training hosted on the campus of UNC-Chapel Hill.